A Highland Single Malt for under £20? Double Cask? Are you sure? Ordinarily, if you had a budget of £20 and a taste for whisky, you’d have to settle for a blend or a bourbon. 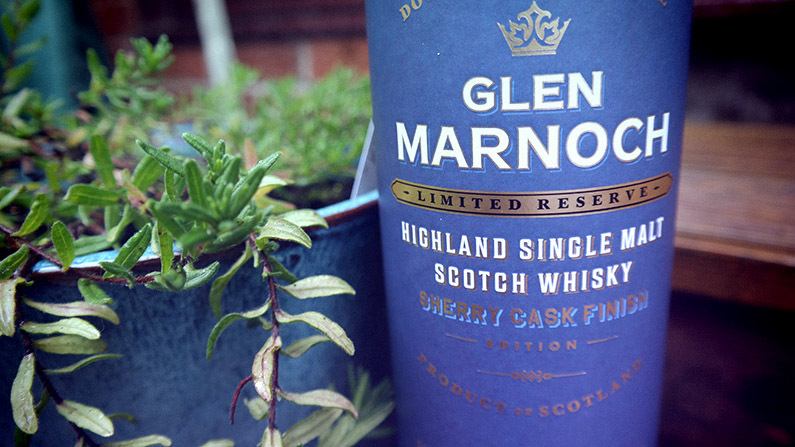 Aldi have now addressed that problem with their mysterious Glen Marnoch range of whiskies. I say mysterious because it’s a bit of a secret as to which distillery / distilleries are making the whiskies, which bear the labels Islay, Speyside and Highland. What is clear is that these grain-free single malts have shaken the domestic whisky world somewhat with both their prices and quality of product. 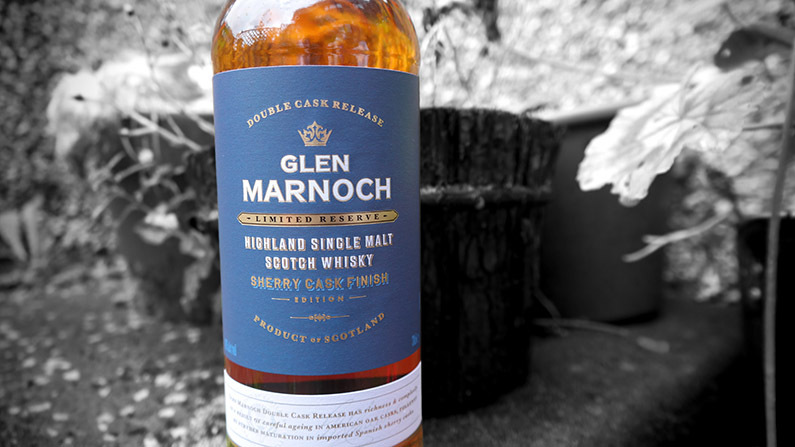 Currently, Aldi has the Glen Marnoch Highland Single Malt Scotch Whisky Sherry Cask on sale. It is a limited run, which makes the £17.49 price tag even more ridiculous. Surely something that cheap must taste of meths? I’m going to put the price of the whisky aside just now. I think it may do the whisky an injustice to keep saying considering the price. I’m going to compare it to other whisky based purely on taste. This double cask release is bottled at 40% abv. Double cask means that it spends at least three years in American white oak casks before being added to Spanish sherry casks to finish it off. The American oak gives sweetness and body while the sherry adds a complex spice. The whisky pours a golden honey colour. The aroma brings the honey, cinnamon, raisin and a subtle oakiness. In the mouth, you experience vanilla, citrus, sweet oak, mild caramel, pepper and tea. The finish is rounded and smooth. Recently, I’ve found this to be my go-to whisky once the kids are in bed and I’m looking for a wee treat. It doesn’t have any single dominant, driving flavour, but that doesn’t mean it’s bland. The sherry cask is obvious in the taste, and it’s made for a very satisfying, well-rounded and smooth malt. And so, lets return to the price. It’s £7 cheaper than Tesco’s own Highland Malt, and a crazy £15 cheaper than Highland Park. The label doesn’t scream ‘budget’ at all. The packaging is every bit as impressive as it’s more expensive cousins. The fact is, this is a brilliant product at a ridiculously low price. It should make many a person a surprisingly good Christmas present (hint, hint) without breaking the bank. It also secures Aldi and Glen Marnoch’s place as a legitimate brand in the whisky market, and one I will definitely be following in the future. 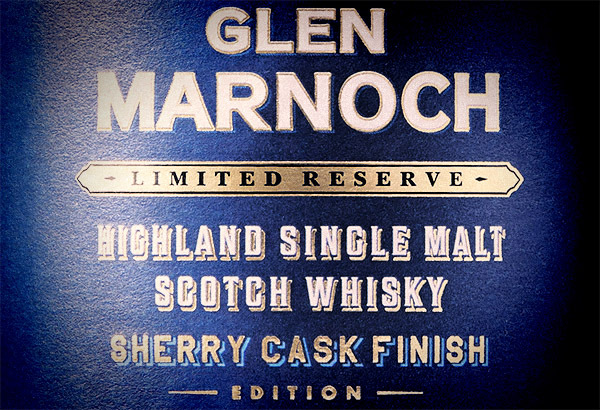 Glen Marnoch Highland Single Malt Scotch Whisky Sherry Cask is available from Aldi for just £17.49. Get on it!